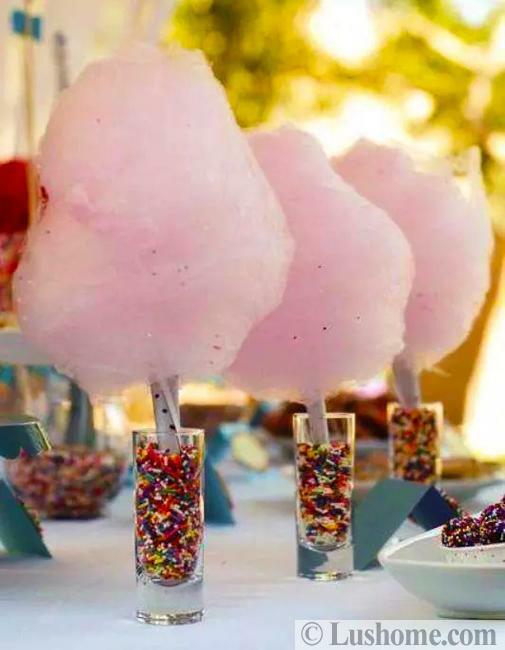 The last party of the summer is the time to set a beautiful table, celebrate bright colors, enjoy creative and colorful food design, and have fun with friends. Back to school party is the exciting event not just for young kids, but for all parents, college students, and teachers. 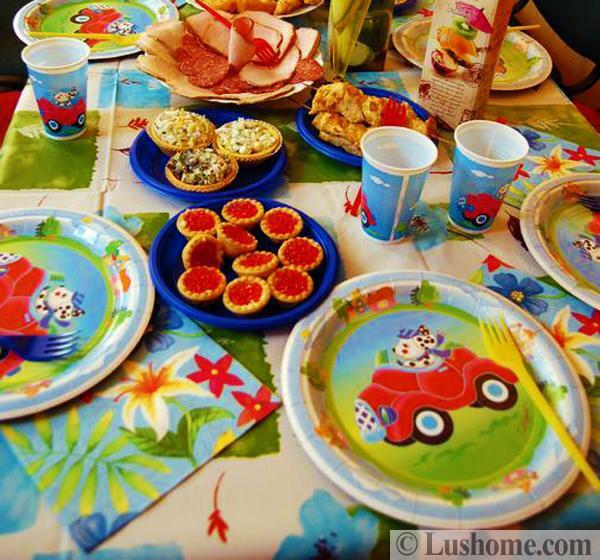 Dazzling party table decoration and original tablescape designs set the right mood and create an exciting atmosphere. Whether it is a picnic table in the park or your patio, original and colorful table setting ideas help energize the space. The last party before going back to school means nothing but fun. The word party makes everyone happy right away, so meet the expectations. 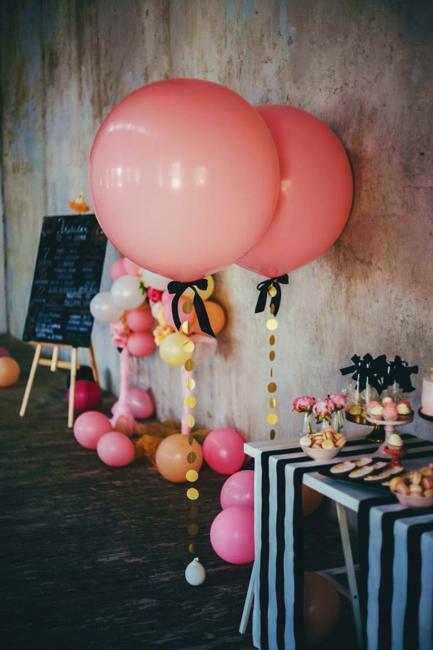 Think of unusual food decoration and presentation, use small portions, vibrant colors, and make eye-catching edible decorations to make your party table setting look inviting and delicious. 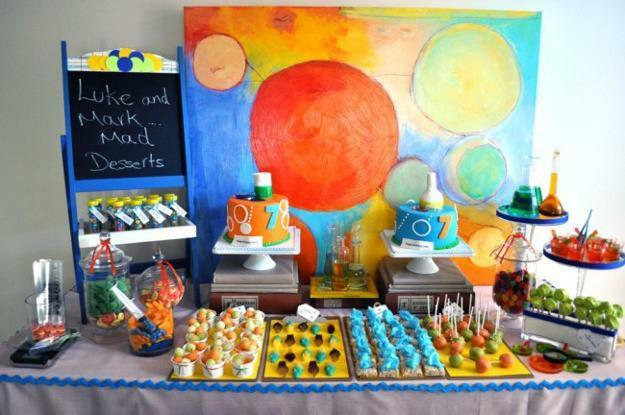 If kids are the ones for whom you organize the party, let them play, fool around, and eat their favorite sweet treats. Make everything simple, informal, and convenient. 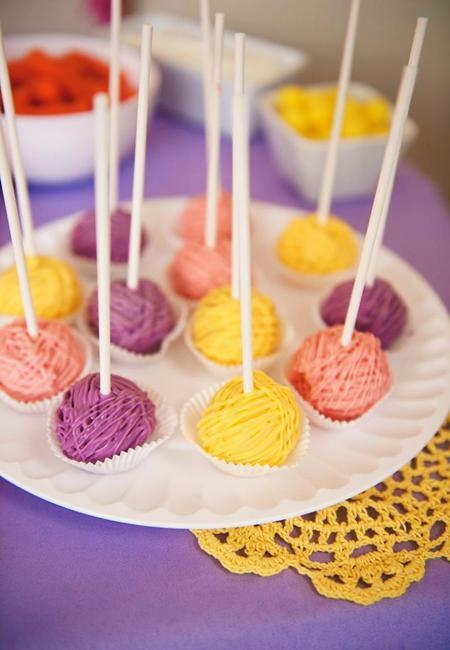 For teens, college students and teachers, you can use more sophisticated table decoration ideas. Creative food design and colorful, original, surprising food decorations make your presentation unforgettable. 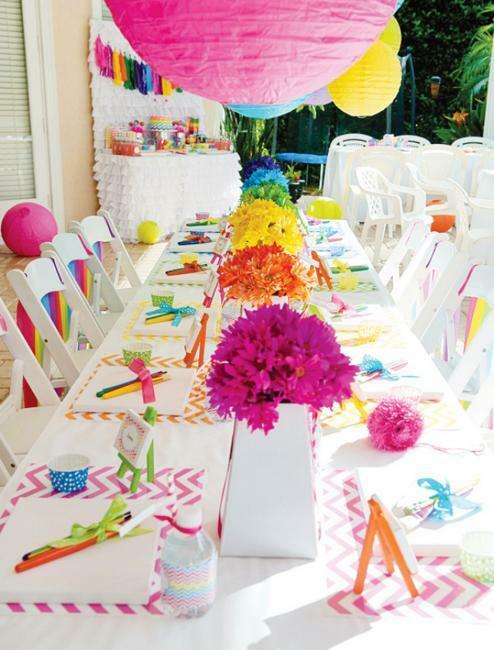 Unique ideas and lots of colors turn the back to school party into a fantastic event. Your children will be proud of you when their friends will see how creative your family is. 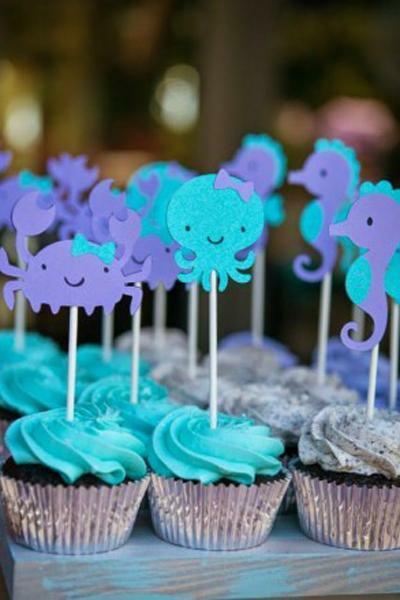 Use cake decorations, candies, carved designs for individual table decorations and centerpieces. 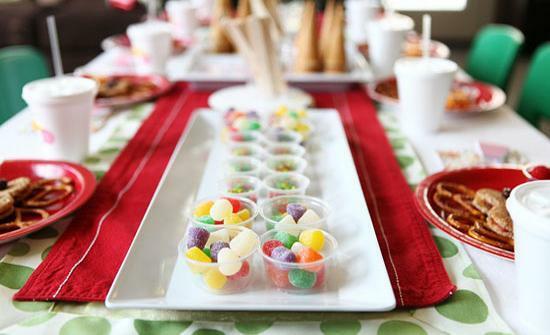 Add small toys to the party table setting. 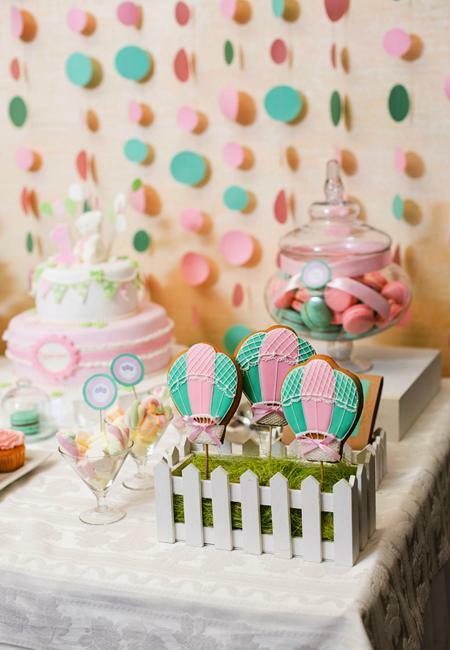 Bring bright ribbons, balloons, and handmade decorations to create original combinations. 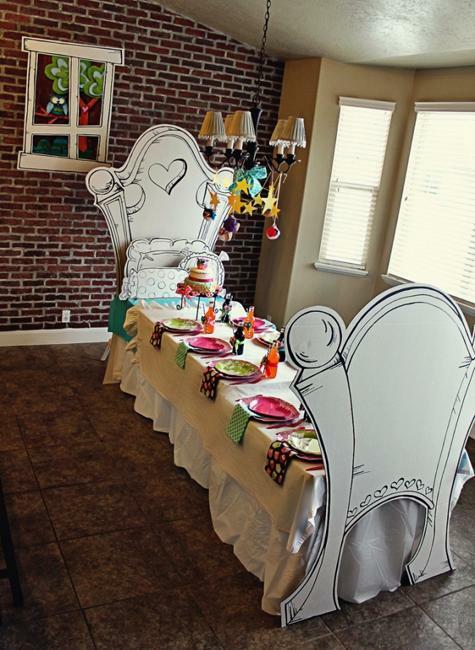 Turning a table into a bed or a space ship creates a beautiful surprise and delight guests. 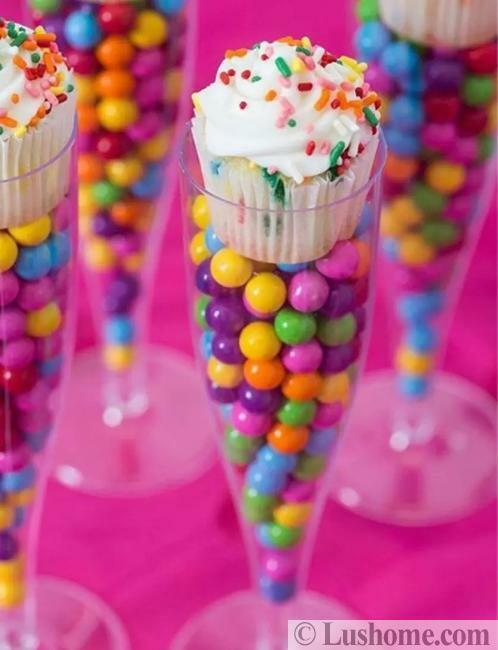 Lots of multicolored food served in small portions adds lots of fun to the kid’s party also. 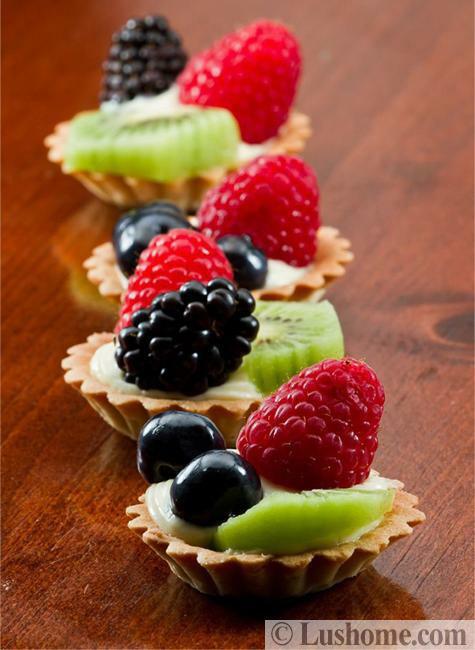 Mix fruits with sweet treats to minimize sugar consumption, add edible decorations made with vegetables to encourage children to eat healthy foods. 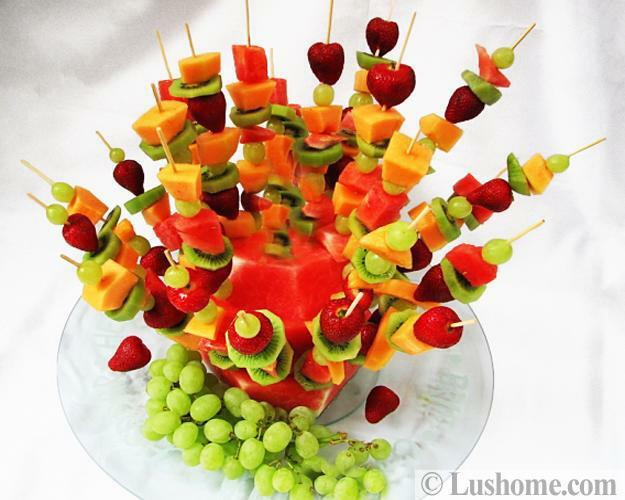 Small cubes of watermelon and cheese, chocolate and fruits are beautiful table decorations. 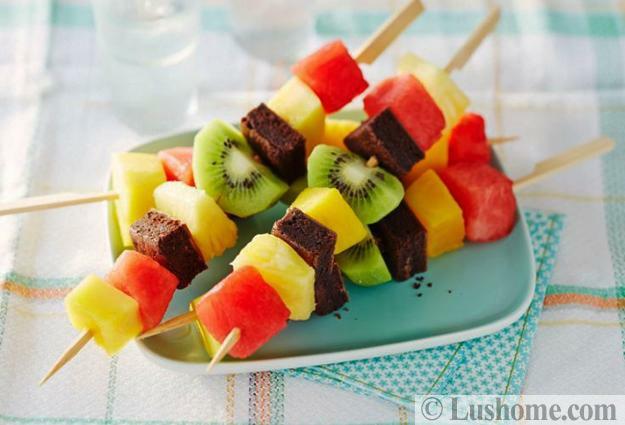 Food on sticks is another attractive idea, ideal for older children and adults. 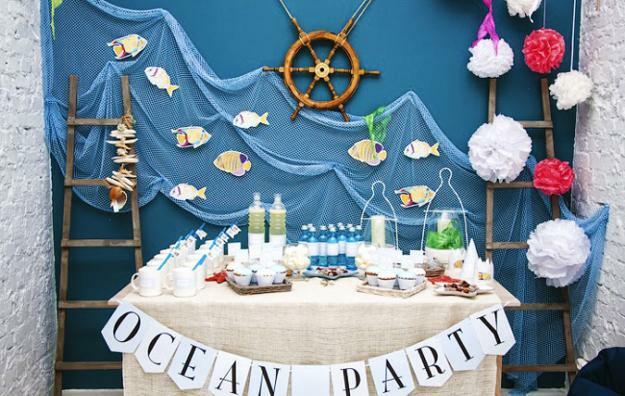 There are many themes which are perfect for back to school party table decoration. 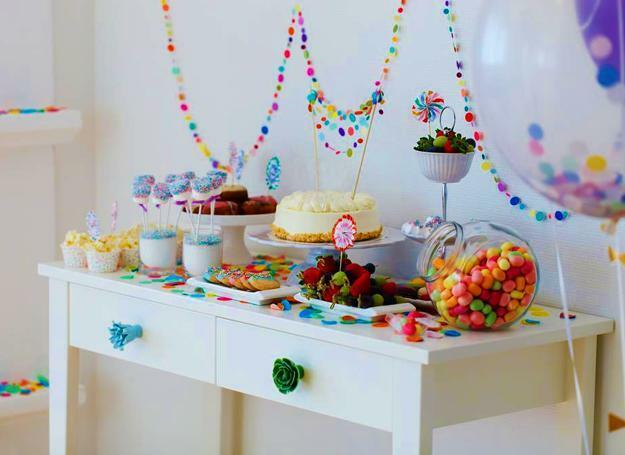 Pencils, pens, and colorful paper ornaments, a blackboard and chalks, small toys, geometric shapes, and Lego pieces, – all works as original or traditional party decorations. 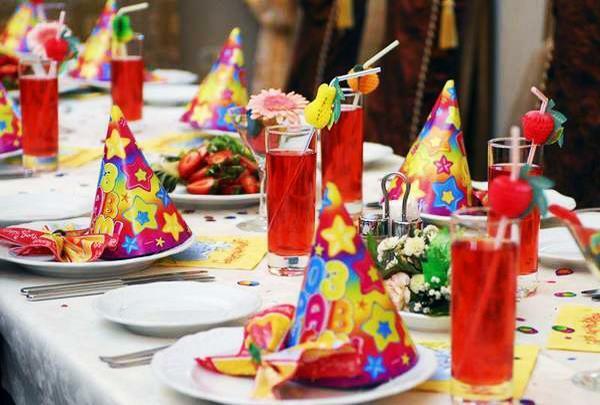 Use small packs of juices for table decoration and give them to kids as the after party gifts. Anything colorful works for creating the festive atmosphere at the end of summer. 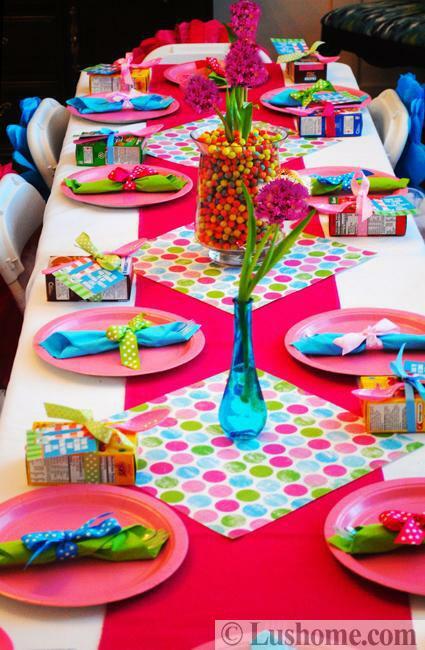 Here is a collection of attractive, inexpensive, and smart ideas for bright back-to-school party table and creative food decoration. 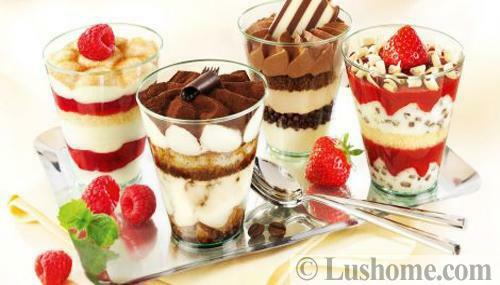 Have a look, check them out, selecting what matches your party theme, and organize the best summer party of the year. 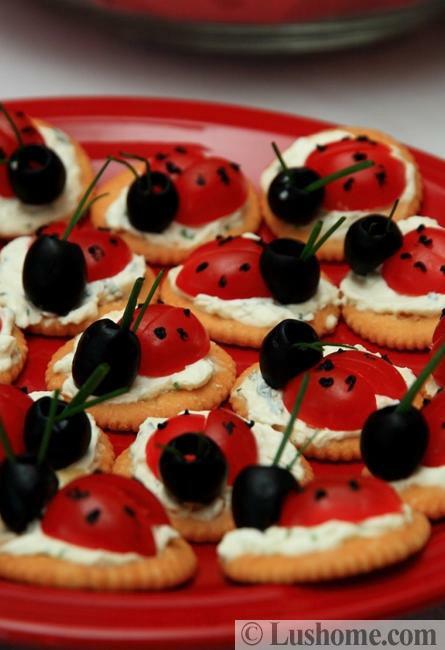 Consider getting kids and their friends to be a part of preparing snacks and decorating. It will make everything easy and quick. Children are amazing, so have a great party!